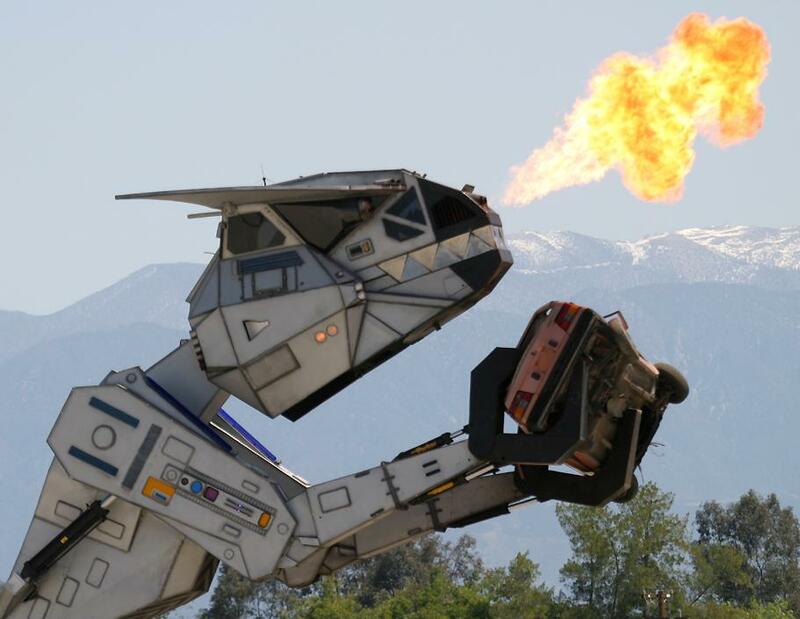 This Robot dinosaur is a cool fire breathing, car crushing, robot monster called Robosaurus. 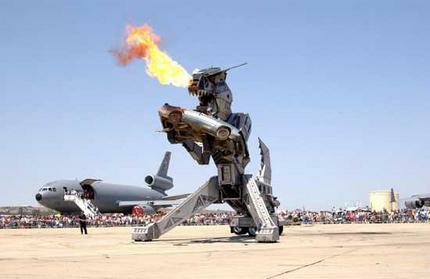 The worlds largest entertainment robot was created by Doug Malewicki in 1989 and appears at car shows and air shows. It was recently featured on the History channel show Pawn Stars, a really cool show that has inspired some of the items featured here on AllcoolShit.com. Thank you for posting this it has relevant information. It’s good to be present when your car and bike are getting packed.